Surfers Paradise is home to a good number of the 45,000 registered strata buildings across Queensland, and with so many units and townhouses often sharing an antenna, it’s no wonder there is often issues with television signal. Fixing a signal issue in a high rise or complex is often very different to fixing the same issue in a stand-alone house, and it takes a professional team, like Home Style Antennas to ensure your issue is fixed quickly. In a high rise situation there is often just the one master antenna for the entire building. This allows free-to-air signal to multiple locations throughout the building. These antennas are a much more cost effective option than multiple antennas on the building roof. Generally when something goes wrong, it can be fixed with a new cable, fly lead or a fix to the antenna outlet in the actual building. Depending on how old the antenna in the building is, you may need to replace it to ensure a better signal for all residents. For complexes, you’ll often find that a single antenna is shared between two to three units and issues generally tend to arise when one resident turns off the power to the antenna when going on holidays or when more than one television per unit is connected to the antenna. If you often receive complaints about signals not working, there are certainly options to work around this including installing distribution amplifiers and multiple power sources. If you manage serviced apartments or a hotel, and need wall mounting for your televisions, Home Style Antennas can assist. 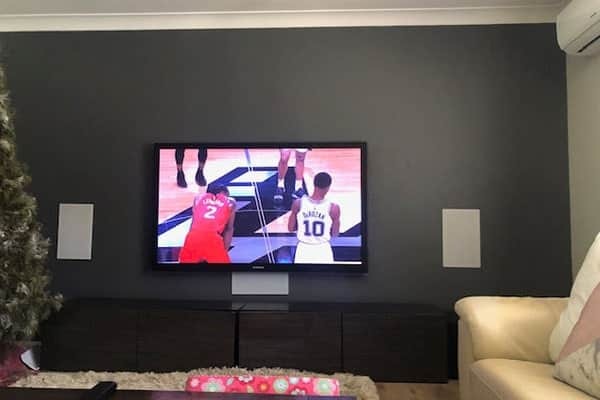 We can help you choose the best location for your televisions to be mounted, taking into account where the antenna runs and any building structural issues. You’ll be left with a professionally wall mounted television that looks great and helps to reduce any damage – wear and tear or accidental. We know that finding someone to repair or replace the antenna services in a strata setting isn’t always easy. For a cost effective, efficient and professional team offering antenna services in Surfers Paradise, give us a call at Home Style Antennas. We’ll get your signal back up and running without fuss.